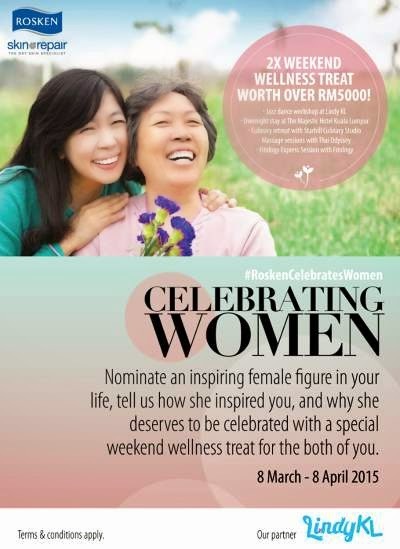 Prizes: Win 2X Weekend Wellness Treat for Two, worth over RM5,000! Jazz dance workshop with LindyKL. Nominate an inspiring female figure in your life, tell us how she inspired you, and why she deserves to be celebrated with a special weekend wellness retreat for the both of you. Visit Rosken Celebrates Women contest page for more details.